I’ve gotta admit, I’ve had a nice three week break since the last entry. I’ve managed to catch up on a lot of me time, with family and friends. So much so that laziness had crept in and I was beginning to delay this particular entry that I’m about to embark on. I think two weeks since the event launch of the Dunia Sinema channel on Starhub TV is long enough and I cannot delay any longer since Pesta Perdana 12 is just less than a fortnight away. Speaking of Pesta Perdana 12, I will be posting an entry on the nomination list pretty soon, but I’m sure some of you might already known or have seen it on your respective social media accounts. Hand to heart I have not been keeping myself abreast and don’t even know who is nominated in which category, which shows how much I have switched myself off from the local entertainment scene since the Ratu competition ended. Touching on the topic of Ratu, well the launch of the Dunia Sinema channel held at Fairmont Hotel on 2nd February 2013 felt like a reunion of sorts all over again, as at least ten of the contestants attended the event hosted by Metrowealth International Group (MIG). Familiar up-and-coming local actors and actresses like Erwin Shah Dawson, Lydia Izzati, Atikah Suhaime and Erni Aidil also graced the occasion with their presence. Even radio personality Hafeez Glamour, came to support the launch. Prior to the event, a closed-door auditioning session was being held next door to the event venue. It was the perfect opportunity for the Ratu contestants and our up-and-coming acts to show their potential and perhaps be the next face to be featured by MIG in their upcoming productions, be it on the silver screens or for television viewing. At a time where some bigwig in the scene across the Causeway is making all the negative noises about welcoming acts from outside their country, MIG should be applauded for welcoming them with open arms. Anyway, back to the topic of the Dunia Sinema channel. 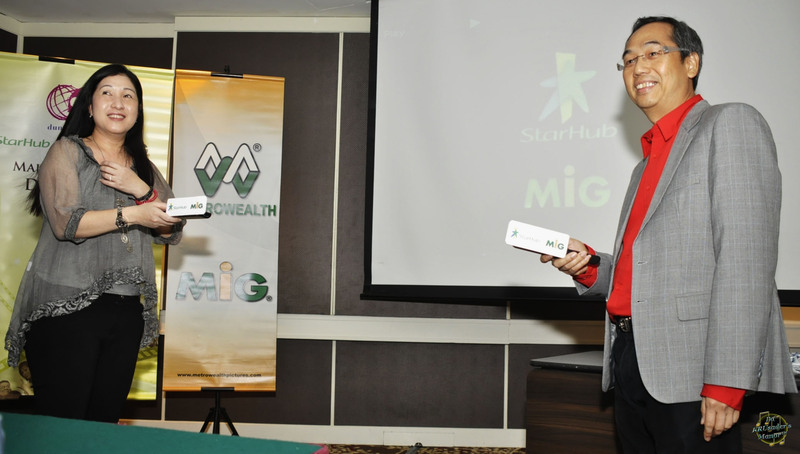 MIG has been entrusted to manage the newly-launched channel, where there is a collection of Malay films produced by them and can be viewed through this collaboration with Starhub TV. 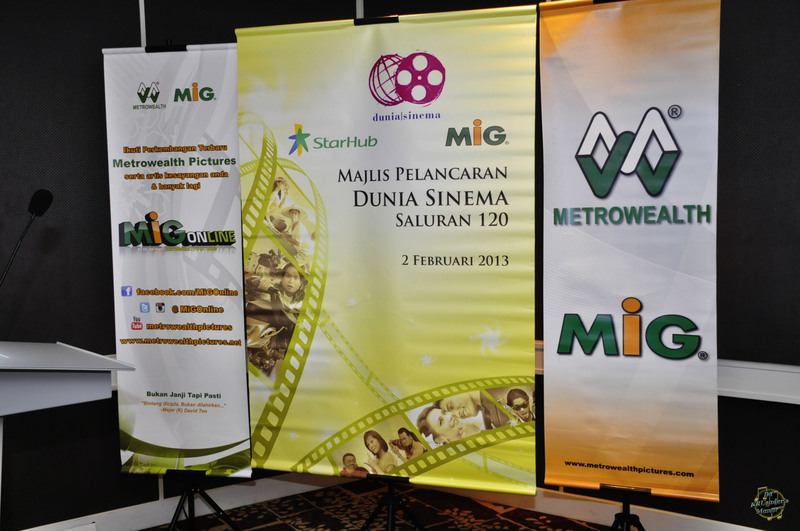 The high demand for Malay films in Singapore in recent years, convinced Starhub and MIG to create this channel. This collaboration hopes to trigger a new history in the world of broadcasting, in turn further strengthening bilateral relations between Singapore and Malaysia, particularly in the field of publishing. Subscribers to the channel (Channel 120) can enjoy watching ten films of different genres every month at a flat rate of S$8.56 per month. The launch of the Dunia Sinema channel was inaugurated by Major (Hon) David Teo, CEO of MIG and Ms. Sandie Lee, Vice President for Content Services, Starhub TV.